Wondering what to do with that asparagus from the Farmer’s Market? For a super easy meal heat up some olive oil in a pan and quickly saute some thin asparagus with salt, pepper, and a splash of sherry vinegar. 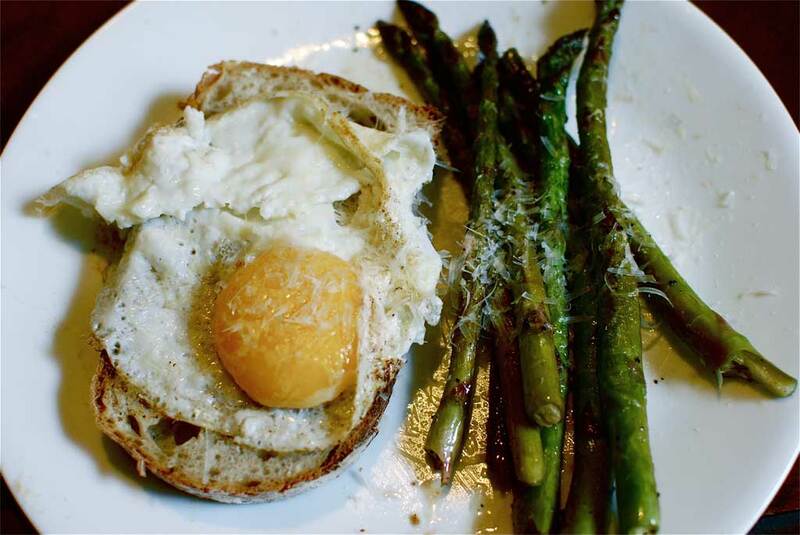 Fry up an egg (also from the market) and serve it on a nice piece of crusty bread (that too) alongside the asparagus, with some cheese grated over everything. Not the prettiest plate I ever put together, but a tasty one.